for improving skin laxity without surgery or downtime. Complimentary session upon booking a course of 6. I’ve never wanted botox, and I liked the idea of a collagen boost. 2 sessions on this Regenlite (to be honest I’d never heard of it, but did some research and was impressed by the manufacturer) and it looks great. I’ll be back for my top up in a years time! Just tried the Regenlite laser treatment at Naomis and can’t believe how much it worked. The multi award winning and only virtually pain-free laser treatment on the market. 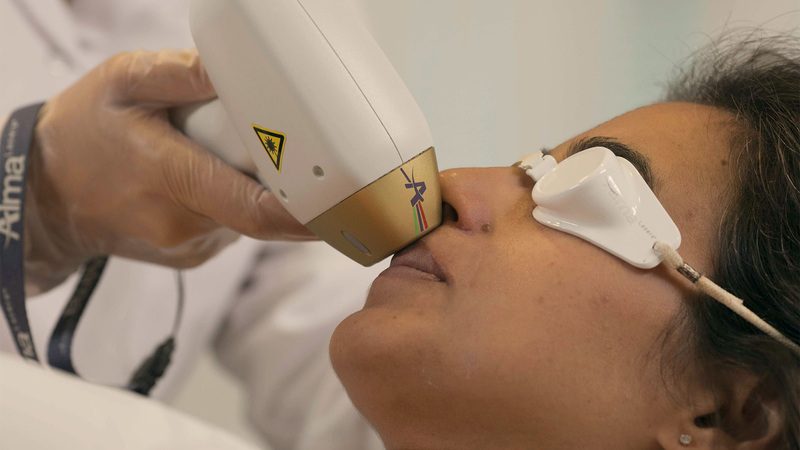 Regenlite™ is the latest generation of laser. This world-leading technology effectively treats everything from acne, lines and wrinkles, to scarring, vascular lesions, warts and verrucas.